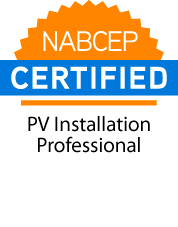 The North American Board of Certified Energy Practitioners (NABCEP) is the “gold standard” for PV and solar thermal installation certification. Designed to raise industry standards and promote consumer confidence, NABCEP offers certification and certificate programs to renewable energy professionals throughout North America. SBS Solar’s NABCEP PV Installation Professionals is Dan Brandborg. It has been a while since we have wanted to commit to one solar module manufacturer. We have preferred to stay open to many manufactures as quality, performance and availability varies each year in this ever changing industry. 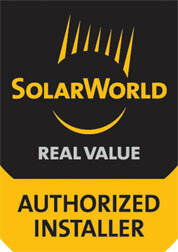 We decided to change our tune here at SBS to work with one manufacturer, SolarWorld of Hillsboro, Oregon. This company has been consistently making solar panels for 40 years with a great track record. There factory is state of art and it’s great to deal with a company in the Northwest US. Becoming an authorized installer for this company was not without challenges. One requirement is an annual quality audit of our installation process. It’s always interesting to put oneself under the microscope, so to speak, of another set of professionals. But this is exactly what we did by providing some 300 photos and explanations of every detail imaginable of a recent installation. We pride ourselves on knowing the National Electric Code, especially part 690 which focuses on PV installations. The auditors are experts on the code and picky is a term that can be used here. Well we passed our audit and are now an authorized Solarworld installer and we unaware of any other company in Montana to make this commitment. We feel taking these steps are just part of our responsibility as a provider of safe, efficient solar systems. The Montana Renewable Energy Association (MREA) is a 501(c)(3) nonprofit organization founded in 2000. Our mission is to expand the use of renewable energy in Montana, to affect public policy in favor of renewable energy, and to educate and inform the residents of Montana of the benefits and uses of renewable energy. MREA members include individuals and organizations that support the increased use of renewable energy in Montana, as well as companies in the renewable energy industry. The Missoula Building Industry Association (MBIA) is a non-profit, membership-based association comprised of builders as well as plumbers, bankers, excavators and a variety of other members whose businesses are the fabric of the Missoula building industry. More than 100 different types of businesses belong to the association. 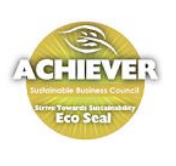 STS Achievers demonstrate significant integration of environmental and social sustainability practices throughout the organization. The gold level is earned by accruing ten Greenpoints and at least four badges. The Building America Partnership for Improved Residential Construction (BA-PIRC) team is led by the Florida Solar Energy Center, a research institute of the University of Central Florida. Formerly known as the Building America Industrialized Housing Partnership (BAIHP), BA-PIRC is a university-based Building America team competitively funded by the US Department of Energy, Office of Energy Efficiency and Renewable Energy-Building Technologies program. BA-PIRC works with partners throughout the United States.